Home Made Oat Panini Bread was never no simple! Pre heat overn to 350. Mix all ingredients for your bread: oats, coconut flour, baking soda, baking powder, eggs, coconut oil, garlic powder, onion powder, dash, apple sauce, almond milk. Mix well and separate your mixture in two mini loaf molds and bake for approx 10 to 15 min. 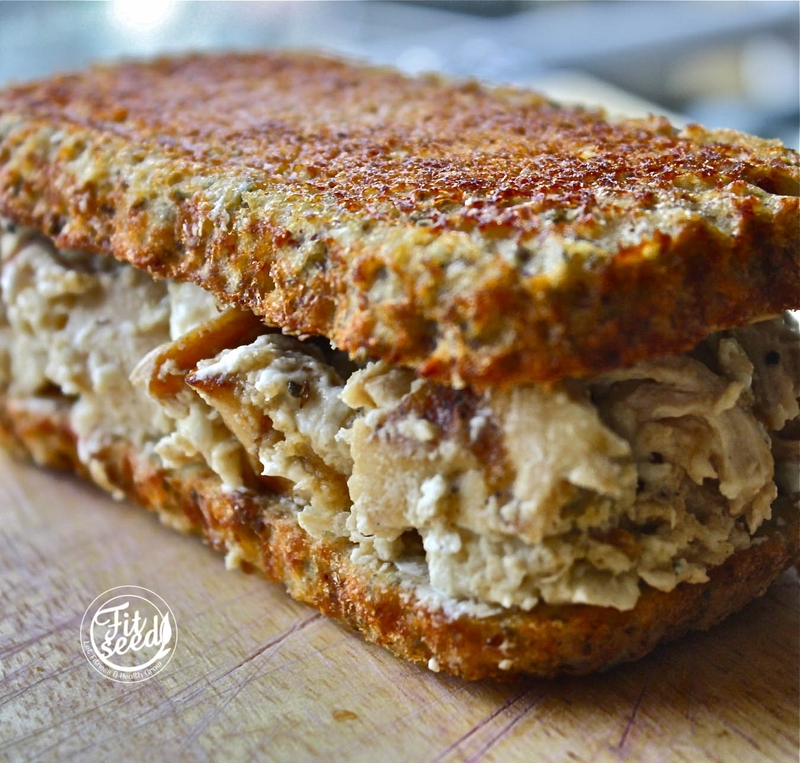 While they bread is in the oven prepare your filling by stirring your cooked chicken tahini and cream cheese. Put your fillings inside your Panini and you are ready to eat. This recipe yields 1 serving.